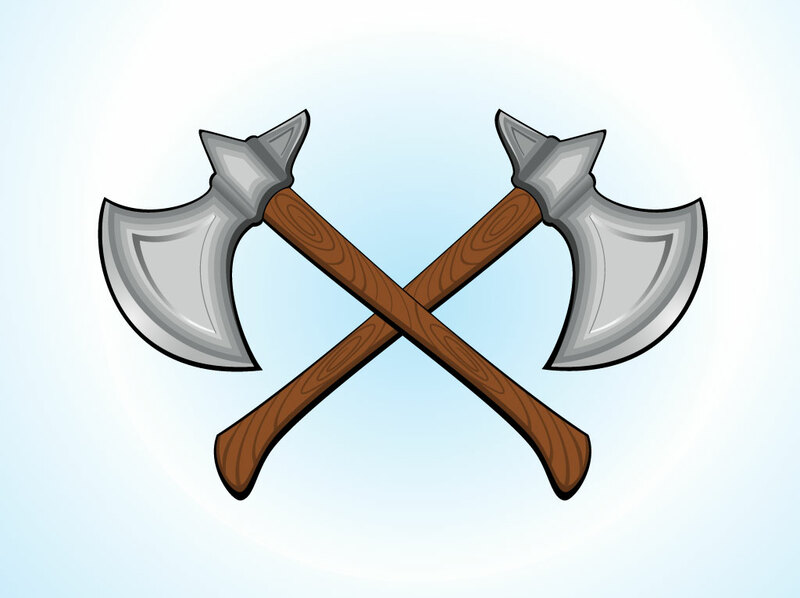 Free weapon vector download with two medieval battle-axes crossing each other. The blades have cool detail work that shows the roundness of the different shapes and the wood handles have visible growth rings. Classic layout that will look great as a tattoo or part of a heraldic style crest. Tags: Ax, Axe, Battle, Blade, Chop, Hack, Hatchet, Medieval, Tool, Weapon.